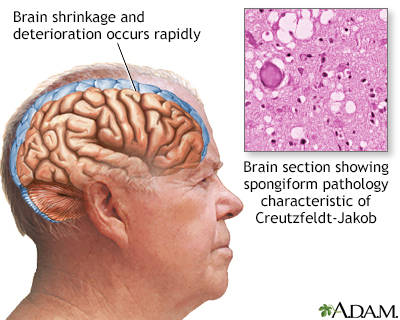 Creutzfeldt-Jakob disease is an organic brain syndrome caused by a protein-like particle called a prion. Loss of brain function resembles Alzheimer's disease, but is very rapid in progression. Complete dementia usually occurs by the sixth month, death follows quickly. There is no known cure.